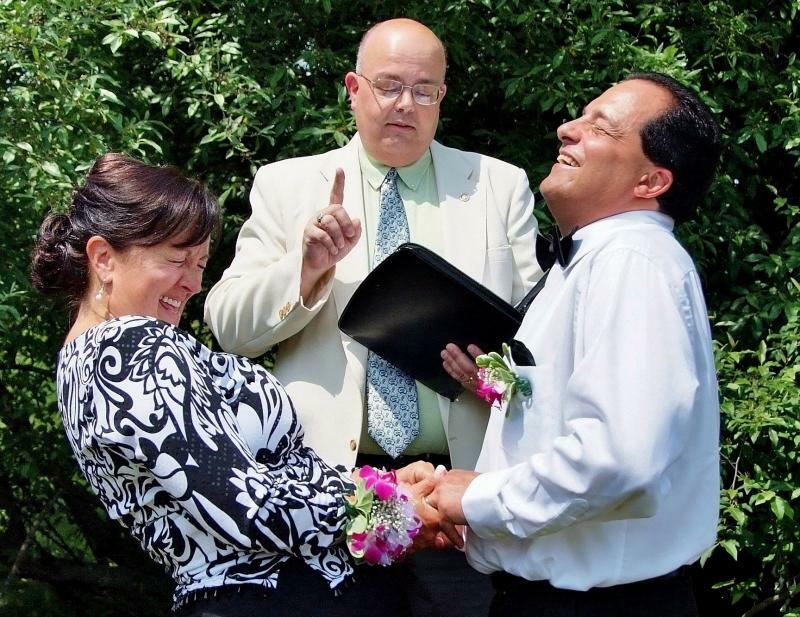 Nick Constantino, LLC - Getting Married? The newest review: "Thanks again! 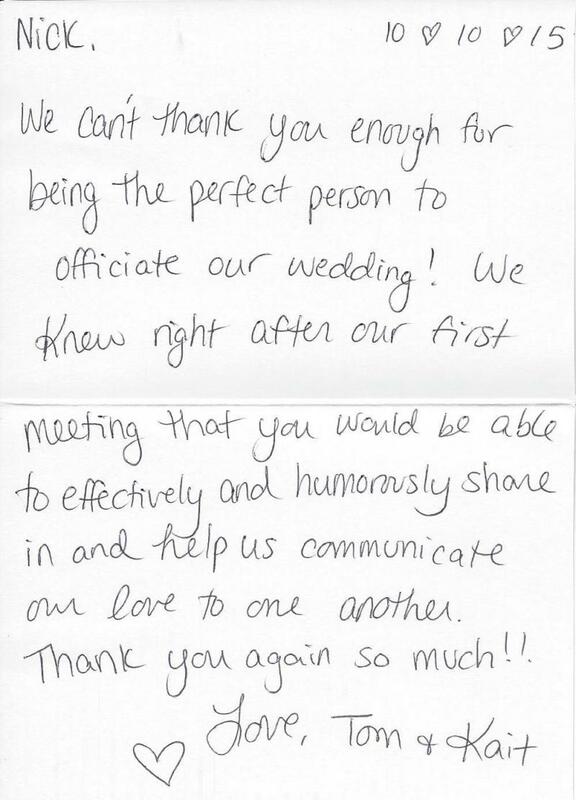 You did an amazing job and really made our day more special than I ever imagined!" ~Cynthia 10/29/18 Call/email me for your free (no obligation) "Wedding Calendar Checklist"! Call/email me for your free (no obligation) "Wedding Calendar Checklist"! 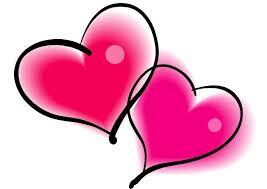 As an ordained Minister I welcome the opportunity to marry you in a traditional or civil ceremony. Want something even simpler? 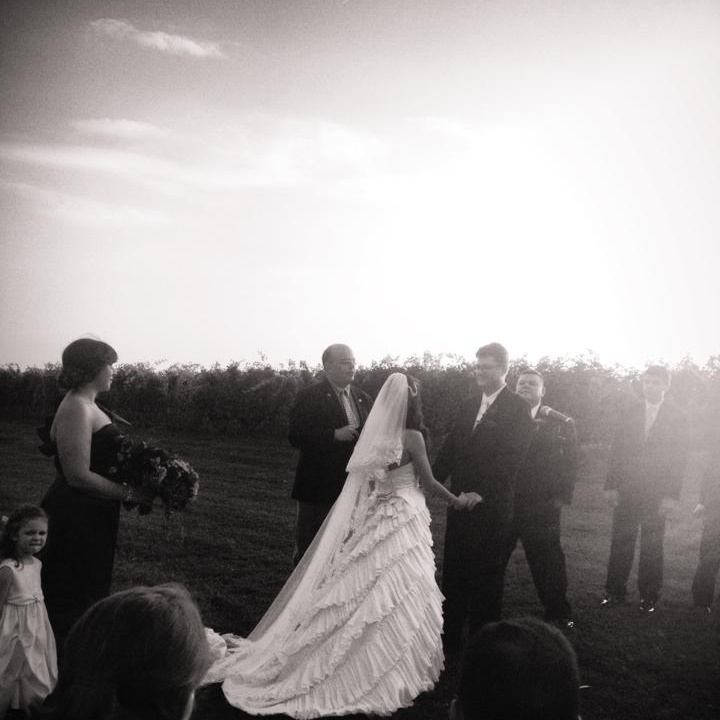 I've performed a number of weddings at my Goshen office - and my fee, should you come to me, is only $50.00! 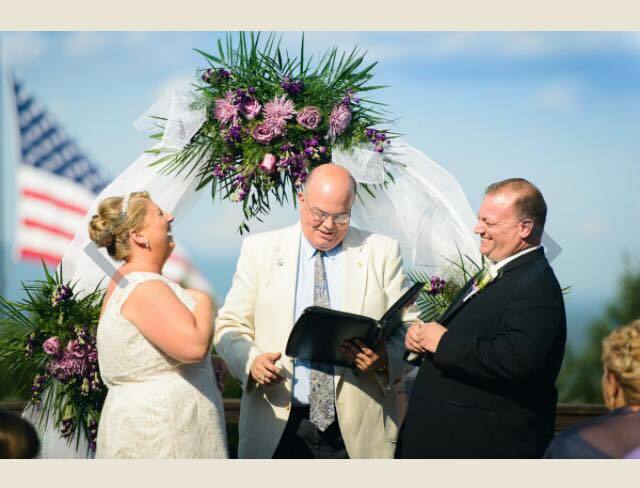 A Gigmasters review: "Nick was the perfect officiant for our wedding. His communication prior to the wedding was so great and ensured that his speech that he delivered while we were getting married was perfect. 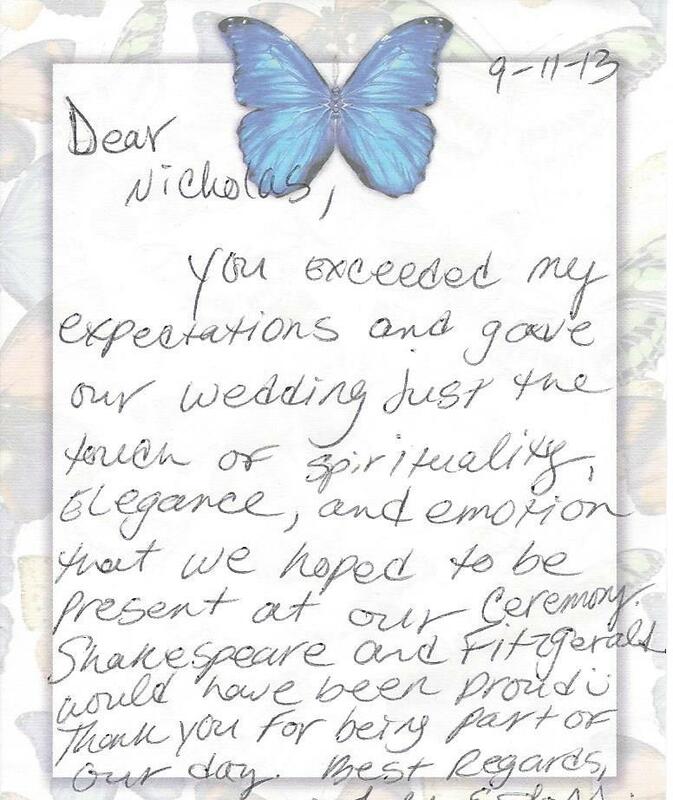 Not only was his performance fantastic, but he did a wonderful job of easing my wife and my nervousness prior to getting married with his humor and professionalism. I would recommend Nick to anyone." I'm also available for vow renewals and ambush weddings! Please call/email me to discuss. Thank you --- and Congratulations! "First off, it was a very hot day so everyone was a bit on the uncomfortable side. Nick was great he arrived slightly early, had an upbeat and funny yet sweet service written out. 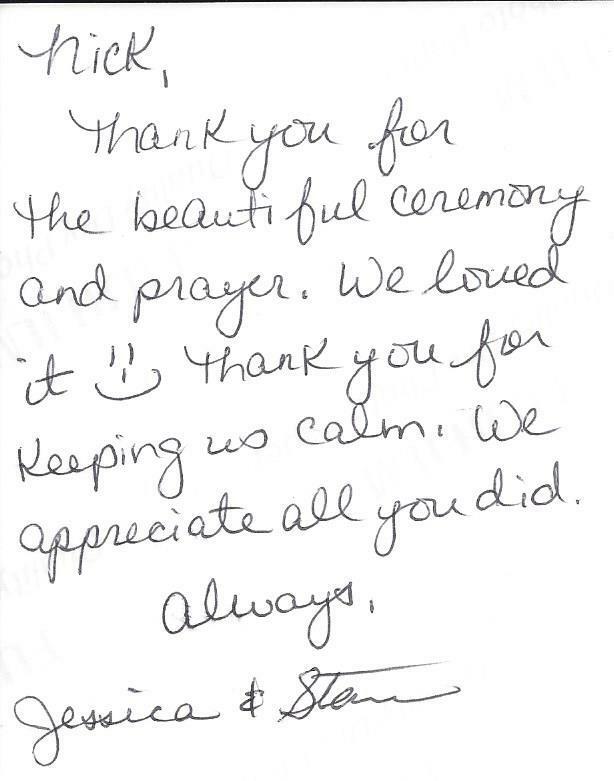 He had our paperwork returned like the next day and included a very nice note when we received a copy of the license. I would definitely recommend him to other couples. 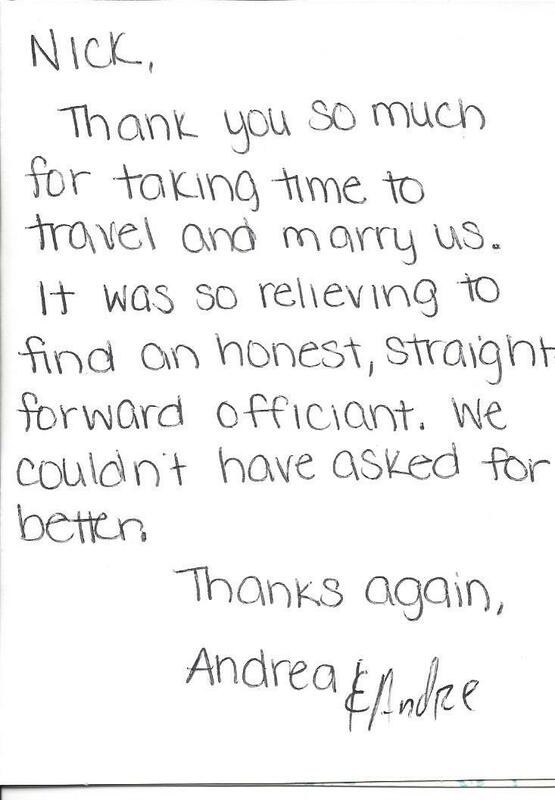 He provided a great service at an awesome price!!!"